Finding my first Buhner book in Dublin in July, a celebratory moment! If last year’s highlight was easy to identify – studying the Enneagram in London – then this year’s epiphany was equally obvious, coming during summer holidays on a remote snip of Scottish land called Holy Isle. In the middle of a weeklong retreat with my teacher Cynthia Bourgeault, the gardener of the Tibetan Buddhist center, Sarah, brought me an excerpt of the writings of Stephen Buhner on plant intelligence. I was so struck by something in the writing style that when I arrived in Dublin several days later, heavy luggage in tow, I made an unconscious beeline for the nearest bookstore and was fortunate enough – and mildly ecstatic – to find a copy of his Secret Teachings of Plants, which I devoured in the subsequent hours and days. Sarah’s tip set me on an unprecedented reading tear, inwardly digesting three of Stephen’s sizable books during the summer and another two in the fall. At year’s end I ask myself, is it working? Like meditation with Cynthia, it’s a slow, subtle process; the most I can say now is that I am irresistibly drawn to his vision and will continue to experiment with plant intelligence. Just listen to Buhner, the writer-explorer-teacher, as he concludes the first book of his that I read, The Secret Teachings of Plants. “It is our birthright to engage in this mode of cognition, and there is no human being who cannot do it…. Look at what is right in front of you. And so I am won over by this vision. I know that all spiritual traditions teach the importance of bringing the mind to the heart. Buhner has given me a new method by which to read the world, to gently request it to speak of its boundless inner life. I have to try. So, it is with gratitude to Sarah the gardener and Stephen the intrepid explorer-writer that I share with you my best reads of 2017. 1. 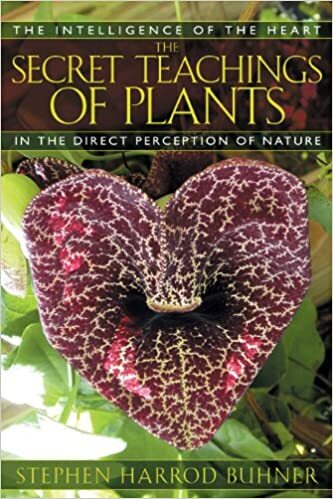 The Secret Teachings of Plants: The Intelligence of the Heart in the Direct Perception of Nature (2004) by Stephen Buhner. The great gift of the first half of this book was Buhner’s in-depth explanation of the tripartite heart – its physical, emotional, and spiritual dimensions. Rather than just a pump, the heart is an organ of emotional and spiritual perception. This thrilling exposition of the heart – what is happening to us beat by beat – provides the necessary backdrop for the second half of the book in which communication with plants becomes the central focus. This links the heart of a person, then, to the heart of the biosphere. 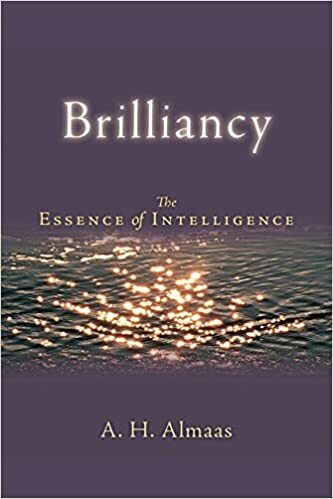 All entities in this world are seen as brimming with intelligence. To the person who learns to commune with nature comes an intimacy with life that prevents solitude from slipping into loneliness, as this quote by George Washington Carver suggests, “I like to think of nature as unlimited broadcasting stations, through which God speaks to us every day, every hour and every moment of our lives, if we will only tune in and remain so” (262). While other writers speak of developing presence in every day life, Buhner coaches how to actually carry this out and what it feels like to have this experience. Like all of Buhner’s books, this is a work that one can return to over and over without feeling that its meanings have been exhausted. 2. 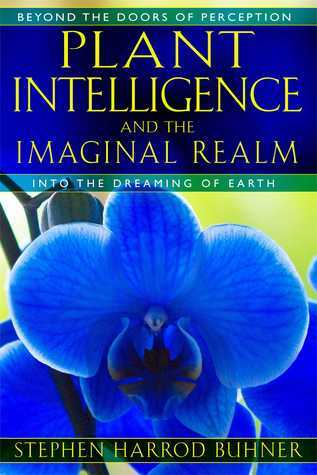 Plant Intelligence and the Imaginal Realm: Beyond the Doors of Perception into the Dreaming of the Earth (2014) by Stephen Buhner. This follow-up to the Secret Teaching of Plants covers much of the same terrain, but here Buhner turns to exploring what he understands by the “imaginal realm,” the phrase philosopher and professor of Islamic Studies Henry Corbin gave to the invisible world of spirit. Once again, Buhner explores by turns the scientific and artistic dimensions of his topic at a deep level, yet maintains the same personal style that ultimately implores the reader to try this form of communication for themselves. Although the general area of study is similar to the earlier Secret Teachings of Plants, most of the material is new. Again, this is a thrilling exploration of human beings’ relationship with the natural world. 3. The Transformational Power of Fasting: The Way to Spiritual, Physical, and Emotional Rejuvenation (2003) by Stephen Buhner. While considerably shorter than the Buhner tomes above, I thoroughly enjoyed his book on fasting, exploring the physical, emotional, and spiritual dimensions (in reverse order) of a practice I really knew nothing about. Again, what sets Buhner apart is his expertise in all three areas of exploration, and how fluidly he cross-references these domains in this relatively short text. 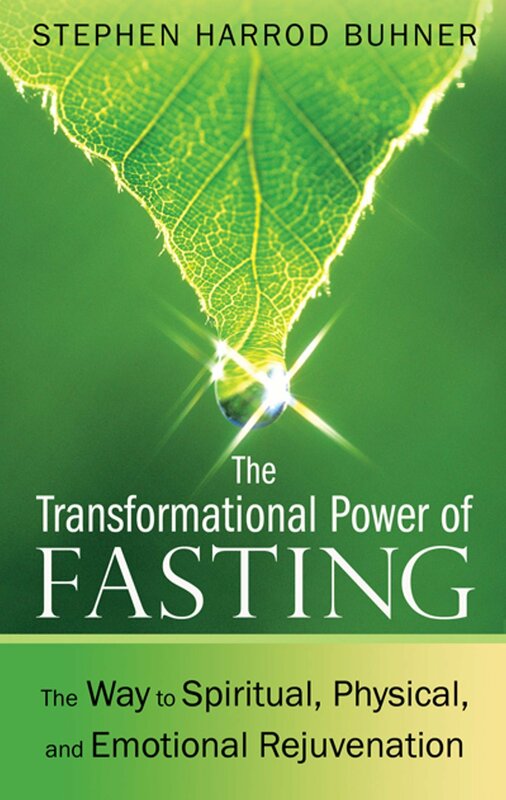 This book is a persuasive argument for the multi-dimensional benefits of fasting, complete with recipes and fasting guidelines. Although I haven’t followed his advice yet to fast for several weeks, it’s on my long-term to-do list. What puts reading Buhner’s and Cynthia Bourgeault’s books in a category all of their own for me? 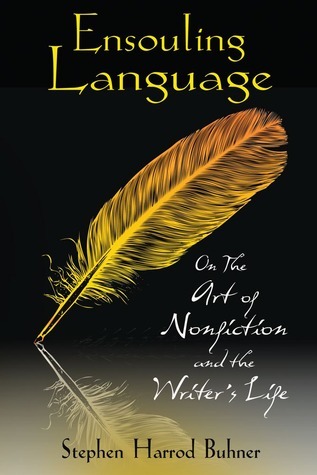 Reading Buner’s book on non-fiction writing gave me a new perspective on why I am drawn to their work. Both speak frequently about the role of the imaginal realm in everyday life, so I have to conclude that the vitality which I’m so drawn to comes from their contacting and “downloading” concepts from that dimension onto the page. For someone then who aspires to write powerful non-fiction, this book convinced me that the greatest preparation for this kind of writing is cultivation of this inner capacity “to see” non-material reality. Buhner provides and explicates a wide variety of poetry and prose which access this level, giving the reader a feel for invisible realm-inspired literature. Again, like his other books, Buhner repeats in the most practical terms the process of befriending a topic and progressively digging beneath its layers until one strikes the gold of the universal, the living realm of symbols. I then made the application that whatever one does – teaching, playing sports, relationships – becomes most powerful when it originates in that spiritual dimension. Beyond these philosophical ideas, Buhner also leads the budding writer through the brainstorming, drafting, revising, marketing, and publishing aspects of the craft in eminently practical ways. 5. 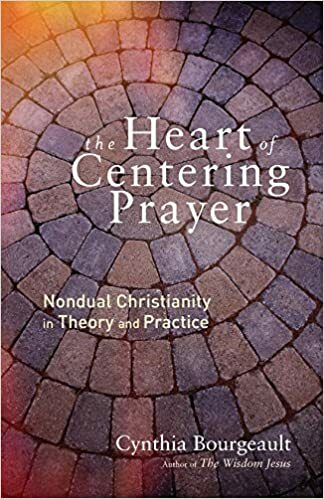 The Heart of Centering Prayer: Nondual Christianity in Theory and Practice (2016) by Cynthia Bourgeault. Since Cynthia’s earlier book on this topic, Centering Prayer and Inner Awakening, is probably the book I’ve returned to on a regular basis more than other in my lifetime, I wasn’t sure how this new book could “top” the earlier one. And I would suggest that it doesn’t really do that; for an introduction to Centering Prayer, the earlier work is still the best entry. But what is explored here in greater depth are key concepts that continue to be part of my own spiritual growth edge vis-à-vis meditation: nondualism, objectless awareness, and mind-heart entrainment. Cynthia includes an 8-lesson curriculum at the beginning of the book that should be useful to those of us teaching Centering Prayer. In addition, she provides a brief one-chapter summary of the neuroscience of meditation, and the research questions that are to be addressed in the near future. Finally, she grounds the practice of Centering Prayer in the great contemplative medieval classic The Cloud of Unknowing. Like everything else Cynthia writes, the whole work sparkles with aliveness and insight throughout. 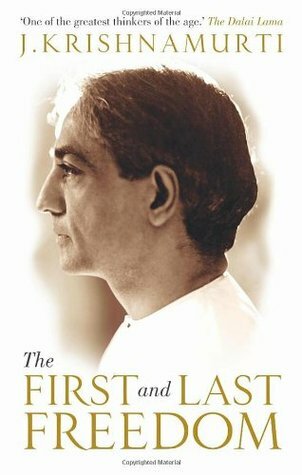 When a good friend recommended that I read Krishnamurti, I was eager to jump in and experience this idiosyncratic, hard-to-characterize Indian philosopher. But as I began reading the First and Last Freedom, his most accessible work, I became frustrated: he was deconstructing everything! What was left?! And yet once I settled into his style, his logic, his dispassionate insight, and his ability to offend without being offensive became oddly winsome. Once I had let go of various beliefs I had about, say, meditation or finding a spiritual teacher, his deconstructive manner became a tool to examine all my preconceptions, trusting that the goal of this cutting close to the vine was to allow some new node of growth to become visible. And that newness, which he turns to as the book progresses, ultimately has to do with love, which is to say relationship, purpose, eternity, and God. There are insights in every one of this book’s 21 chapters and 38 Q & A responses. The First and Last Freedom could be read over and over again to beat back the self’s creeping need for security, and to open again to self-observation and whatever then emerges from that reset. One of my students gave this book to me as a Christmas gift, which I dutifully began very recently. While it begins with a clever but meandering start, once the magical realism element was introduced – let’s just say that riding a hotel elevator will never be the same – I was hooked. 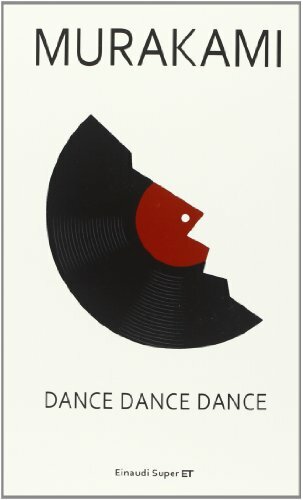 Murakami’s novel combines an intriguing, unpredictable story with quirky yet believable characters all interlinked with probing and entertaining dialogue. He even so cleverly includes a facsimile of himself the author (not the narrator) as an important secondary character. Finally, for someone fascinated with the imaginal realm, Murakami’s glimpses into non-ordinary reality were just like the rest of the book: idiosyncratic, yet very plausible within his story narrative. I was disappointed to finish this highly engaging read, which means I will be picking up more of Murakami’s works in the future. To see my favorite books of 2013, hit here. To see my favorite books of 2014, hit here. To see my favorite books of 2015, hit here. To see my favorite books of 2016, hit here. This entry was posted in inner awakening and tagged compassion, human nature, mindfulness, wisdom. Bookmark the permalink.